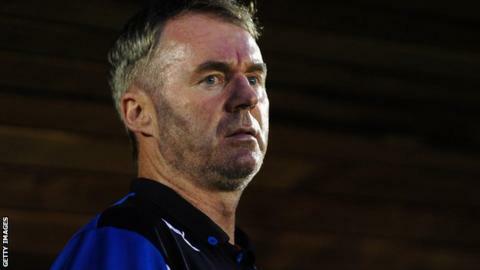 Plymouth Argyle manager John Sheridan said it was a 'crying shame' that the club did not take three points from their game with AFC Wimbledon. The leaves Argyle three points clear in the final play-off place, but three points behind sixth-placed Stevenage. "It's a crying shame we didn't get three points, because we know the importance of getting them," he said. "But we move on, it's a point and we're sill in the top seven." But Sheridan said he felt his side were good enough to have taken all three points against a Wimbledon side that had not won any of their previous four games. "I'm gutted we didn't get three points, I think the performance deserved three points, I thought it was the best we've played for a while," he added to BBC Radio Devon. "We created the opportunities, the 'keeper's made great saves and on other occasions we haven't hit the target. "We got the goal and I could not see them scoring and I couldn't see us losing the game,"